World Book Day 2019 was celebrated all over the world on Tuesday, the 23rd of April. World Book Day is also known as World Book and Copyright Day, World Book Days and International Day of the Book. The World Book Day theme 2019 was “Share a Story”. Amazon.com, the shopping website gave 9 e-books free of cost to everyone on its website to celebrate World Book Day. The books were from various genre including biographies, fiction, stories, crime and mystery. The aim was to spread the interest of reading books which seems lost in the modern world of internet and smart phones. India was the Guest of Honor in the Abu Dhabi International Book Fair hosted by the Prince of Abu Dhabi. The event witnessed the talented authors of India and the bestsellers books authored by India’s most renowned writers. There were various forums held on the occasion where book enthusiasts gathered to read aloud some parts of bestsellers. The aim was to raise the awareness on book reading as books are the ocean of knowledge which enlightens the minds of the readers. World Book Day is an annual event celebrated every year by the people all over the world on 23rd of April. It is the most important event organized annually by the UNESCO in order to promote the reading, publishing and copyright among the public worldwide. Instead of celebrating it on 23rd of April, it is celebrated on 1st Thursday of the March in the United Kingdom. World Book Day celebration was started by the UNESCO first time on 23rd of April in 1995. Generally, it is celebrated by the authors, illustrators, books and to encourage reading among common public. It is the worldwide celebration of the books and readings and celebrated in more than 100 countries. There are many legends behind celebrating the world book day on annual basis on international level worldwide. 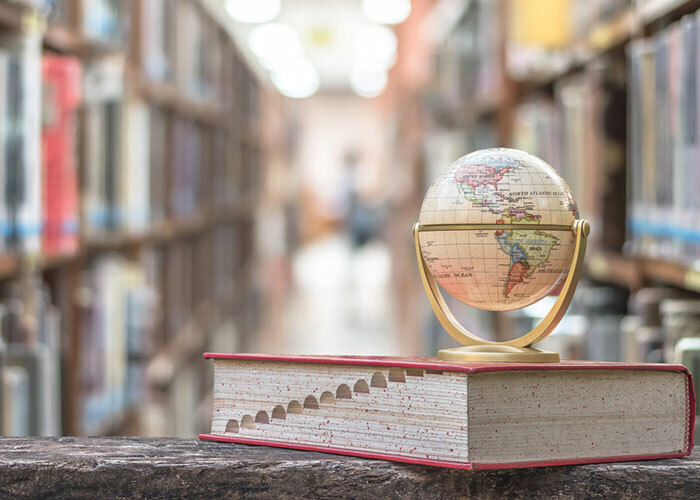 The connection of world book day celebration date means 23rd of April and books was established first time in the year 1923 by the various Spain booksellers in order to pay tribute to the most famous author named Miguel de Cervantes. The day is the death anniversary of the Miguel de Cervantes. The exact date of the world book day celebration was established first time in 1995 by the UNESCO to celebrate the World Book and Copyright Day. It was decided by the UNESCO to be celebrated on 23rd of April as it is, according to the Gregorian calendar, the birth and death anniversaries of the William Shakespeare, Vladimir Nabokov, Manuel Mejía Vallejo; death anniversaries of the Miguel de Cervantes (died on 22nd of April and buried on 23rd of April), Josep Pla, Inca Garcilaso de la Vega and birth anniversaries of the Manuel Mejía Vallejo, Maurice Druon and Halldór Laxness. One can get involved in celebrating the world book day by buying and reading some exciting and funny books from the market or popular book shops where all the favorite books based on brands, characters or authors are available. World book day celebration plays a great role in bringing kids closer to the books reading habits as well as creates interest in them to know about authors and other important things. It was started celebrating throughout the world by the UNESCO for easily promoting the reading habits among kids, publishing and protecting the intellectual property using copyright. 23rd of the April has been a significant date for the world literature as 23rd of April of 1616 was the death anniversary of many great personalities. The date has been decided by the UNESCO to pull worldwide people attention to pay tribute to the books and authors. It encourages people specially youngsters to read books, discover real pleasure and knowledge among books as well as creating new ideas for their extraordinary contributions towards the social and cultural development of the country or people. Giving a rose with each book purchase to the customer may motivate them to read books and feel respect. World Book and Copyright Day celebration is specially carried out by the teachers, authors, publishers, librarians, all the public and private educational institutions, NGOs, working group of people, mass media and etc. Variety of programmes are organized on international level by the UNESCO National Commissions, UNESCO clubs, centres, associations, libraries, schools and other educational institutions. Working group people are promoted for the library membership to get the collection latest books written by famous authors. Various activities like visual art, drama, workshop programmes and etc can aid more motivation to the people. The date for the world book day celebration was decided by the UNESCO in the General Conference which was held in the Paris in 1995. Lots of interested people from almost 100 countries associated with voluntary organizations, universities, schools, public or professional groups, private businesses and etc. World Book and Copyright Day celebration attracts people from all continents and cultural backgrounds all over the world. It made them able to discover new ideas and explore their knowledge. Books are depositories of heritage, cultures, windows of knowledge, tools for dialogue, source of wealth and so many. World Book and Copyright Day celebration has inspired lots of professional organizations from various countries and receives assistance from UNESCO. The worldwide member states of the UNESCO celebrate this event every year to promote the power of books among people in order to bring them together as well as disseminate variety of cultures to other people. The day is celebrated to promote education among young people as well as people living in underprivileged sections. At this day, some young people including children are awarded for their better performance for novels, short stories or picture books promoting peace, tolerance, understanding and respect among each other for other cultures and traditions. A different poster is designed every year based on the particular themes of the year and distributed among people around the world. Posters are designed in such way to encourage people and children to read more books. The theme of World Book Day 2019 is “Share a Story”. The theme of World Book Day 2018 was “Reading, it’s my right”. The theme of World Book Day 2015 was “Read the World”. The theme of World Book Day 2014 was “Be Smart-Read Books!”. The theme of World Book Day 2012 was “Books and Translations”. The theme of World Book Day 2011 was “Evolution of Book Production, from Writing to Digital”. The theme of World Book Day 2010 was “International Year for the Rapprochement of Cultures”. The theme of World Book Day 2009 was “Development of Quality Education and the Link between Publishing and Human Rights”. The theme of World Book Day 2008 was “International Year of Languages”. The theme of World Book Day 2007 was “Reading is the Key”. The theme of World Book Day 2006 was “Literacy Changes Lives”. The theme of World Book Day 2005 was “Reading is Forever”. The theme of World Book Day 2004 was “Reading: a non-stop Journey”. The theme of World Book Day 2003 was “Friends for Life”. The Theme of World Book Day 2002 was “Hourly Happy”. The theme of World Book Day 2001 was “happy hour”. The theme of World Book Day 1999 was “Give a Book”. The theme of World Book Day 1998 was “Reading is Cool”.